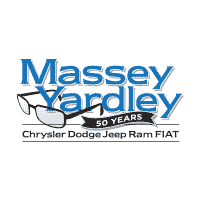 When you want to enjoy the drive in a used vehicle that’s perfect for your daily experience out on the road you need to see the team at Massey Yardley Chrysler Dodge Jeep Ram Fiat in Plantation, FL. This is the Fiat dealership near me where you’re going to find an excellent vehicle to drive on the roads around Davie, FL. Come in and take a look at a variety of different used models that can be perfect for you to have what you want out on the road. 2013 Dodge Journey SE – With seating for seven and an affordable price for you to enjoy, this is an SUV that can be easy to drive when you want a versatile vehicle for your family to ride in. Let this be the right choice for you at this Fiat dealership near me and take it home with you to Davie, FL where you’re sure to experience the quality drive that’s perfect for you. 2012 Jeep Liberty Sport – This SUV has a classic Jeep look that makes it one of the most attractive and enticing you’ll find at this Fiat dealership near me. Take this beauty out for a test drive and enjoy the super clean interior that can be the right one for you to have the driving comfort and the capability offered with this SUV as you drive on the roads in Davie, FL every day. 2016 Dodge Dart SXT – If you want an efficient small sedan for the drive you need to make on a daily basis, this is an excellent choice offered at this Fiat dealership near me. Take this gorgeous sedan out for a test drive and notice the low miles and low price that both make this the right choice for you to have the ride you’ll want to have on the roads in Davie, FL. 2015 Jeep Patriot Sport – When you want the classic style in an extremely affordable Jeep SUV, this could be the right choice for you at this Fiat dealership near me. This SUV can give you as much as 30 mpg on the road to make sure you can have the ride you’re looking for when you’re looking for the drive you want in Davie, FL. 2016 Fiat 500X Pop – This is a small SUV with the Italian style you’re looking for and the quality performance that will make a huge difference for you when you head out on the road. Visit this Fiat dealership near me and let this model be the right one for you to have the drive you’re looking for in Davie, FL. The team at Massey Yardley Chrysler Dodge Jeep Ram Fiat in Plantation, FL is the Fiat dealership near me where you’ll find the right used vehicle for the drive you want to enjoy in Davie, FL.